Your SAP S/4HANA questions answered. Does SAP S/4HANA make business sense? This is the first post in a two-part series that answers some of the most common questions you may have about SAP S/4HANA. Three years after the release of SAP S/4HANA, there is still some uncertainty about its readiness and positioning. Here, we discuss some of the key issues concerning this latest version of SAP’s business management software to help customers better understand its value. There is a widespread misconception that adopting SAP S/4HANA needs to be hugely expensive. Like all IT projects there are three main considerations; the cost of the software, any necessary changes to your existing IT infrastructure, and the costs of implementation. In terms of software, SAP provides a flat rate price for the core SAP S/4HANA code. For most customers the SAP HANA compute platform software cost is derived from the value of your existing SAP solutions just like other database platforms. In recent years the infrastructure requirements have become more flexible and have reduced in cost as a result. Of course, from an infrastructure perspective, it is also possible to utilize specialist SAP Cloud Partners as well as the Hyperscale Vendors such as Amazon, Google, or Microsoft. Is There a Lack of Skilled Consultants? There is concern about a lack of skill and capability in the market for SAP S/4HANA. However, there are already more than 8,000 active projects globally, with more than 1,500 that are already live. At itelligence we have been working with SAP S/4HANA since its initial release and have developed a global program of change to deliver the best service. Our project managers understand the methodology and toolsets required. Consultants are learning the new capabilities, with new releases coming out on a quarterly basis. The program of change is ongoing and we are heavily invested in it. All of our consultants also have access to the SAP Learning Hub, which offers in-depth courses to them. Is There Enough Industry Coverage within SAP S/4HANA? People have worked with SAP solutions in the past because of their broad industry coverage – and this is not going away. However, it was clear that many processes within industry solutions were finding use beyond their intended industries. As response, SAP S/4HANA brings various industry capabilities back to the core product to make them available for all customers regardless of industry. This “principle of one” approach standardizes and simplifies transactions and the overall solution. SAP publishes roadmaps for all of its products so you can see plans for upcoming releases. From these it is clear that SAP is addressing the challenges of numerous industries today, but also keeping an eye on business trends for the future. Doesn’t SAP S/4HANA Do the Same as SAP ECC Did? It is true that SAP S/4HANA supports many of the business processes that you currently use to run your business. In many ways this is a good thing, for example you can choose to adopt innovations at your own pace. You can continue to use many traditional transactions and gradually adopt the new SAP Fiori applications for new capabilities such as mobility, embedded analytics, and higher levels of personalisation. In finance for example, the underlying data structure and reporting model have been hugely simplified. Together with quicker response times, the solution makes financial reporting and accounting far easier. SAP S/4HANA also offers exciting new capabilities in sales, manufacturing, and logistics. The solution not only covers process requirements, but also provides a number of new opportunities to interact with customers and vendors, reduce costs, and tackle new business challenges. Is It Possible to Build a Business Case? itelligence has a team dedicated to creating business cases for companies wishing to adopt SAP S/4HANA. All of our projects are based on business value. We also use a number of tools to support implementation, including the SAP Innovation and Optimization Pathfinder, the Readiness Check, and the SAP Transformation Navigator. However, the most important part is having consultants and solution architects who have experience from real projects. It is important to note that the approach to implementation should not be a purely IT-led initiative but must align with business transformation as well. The main consideration should be the business objectives and strategic vision of the organization. Stay tuned for the next blog post that will answer key questions on the technical side of SAP S/4HANA. 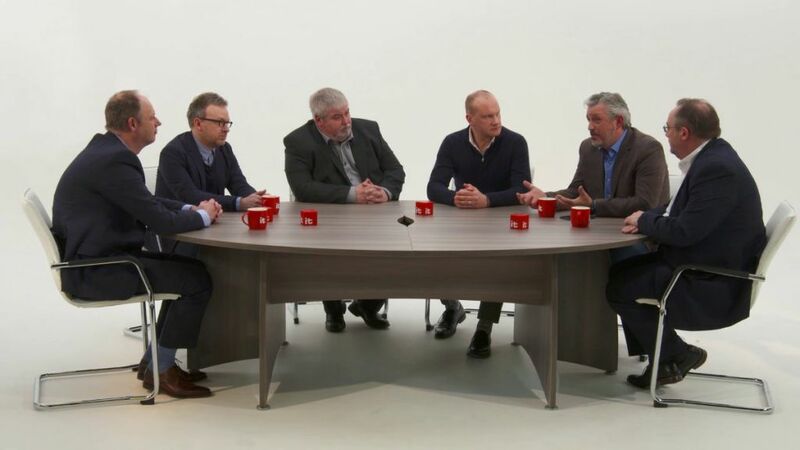 Or, view the roundtable discussion here to watch clips of our experts discussing the topic in depth.